The work of Laurie Fritz Moravec will be on display in Salina Public Library’s Gallery 708 beginning Aug. 10 through Sept. 7. A reception for the artist will be from 4-5:30 p.m. Friday, Sept. 7, in conjunction with Friday Night Live. 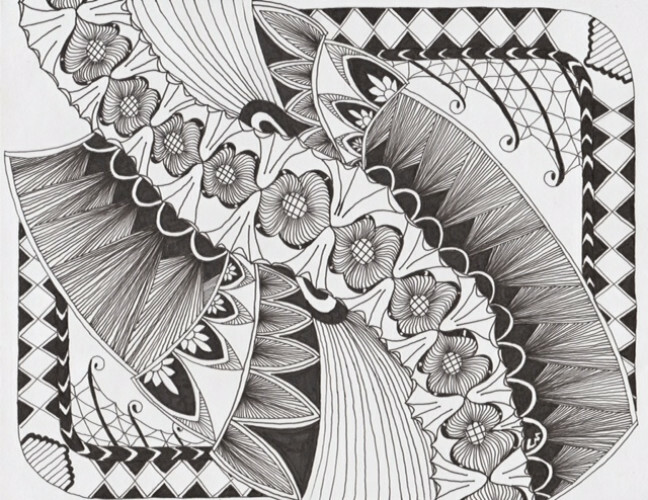 The exhibit, titled “Totally Zen,” will feature original ink and graphite Zen Doodle drawings. Moravec, a Salina native, has experimented with various art forms before embracing her own style. The public is welcome to view the exhibit during library hours — 9 a.m.-9 p.m. Monday-Thursday, 9 a.m.-6 p.m. Friday and Saturday, and 1-6 p.m. Sunday.